StubHub is a secure online marketplace for buying and selling tickets to concerts, sporting events, and other entertainment productions. Buyers from all over the world buy and sell tickets on StubHub, greatly increasing the pool of potential buyers for your tickets. StubHub provides a FanProtect guarantee and backs every qualified order. Can you make money by selling your tickets? You have control over the price that you set to sell your tickets, although StubHub does provide a suggested range, depending upon what other people are paying for similar tickets to your event. You have the power to edit this price at any point before the sale. Is it legal to resell tickets? Reselling tickets is legal but individual states do have laws against reselling tickets at an event site. Each state also imposes limits regarding how much above face value tickets can be sold. Before you sell tickets on StubHub, you must accept StubHub's user agreement and agree to abide by local regulations. How much does it cost to sell your tickets on StubHub? Listing your tickets on StubHub is free, but StubHub will collect a commission on the price of your ticket after the sale. The fee, according to StubHub, is variable and fluctuates based on marketing costs for a specific event, and costs associated with the "trust and safety to help sell your tickets fast and securely." More specifically, “StubHub reserves the right in its sole discretion to change fees at any time as it deems appropriate, including after you list your tickets.” Later in this article, you'll learn how to see StubHub fees on your tickets before you list and sell them. Create a StubHub account if you don't already have one. You will need a StubHub account to sell tickets. To create one, visit StubHub in your browser and click Sign In in the upper right corner of the screen. If you do not have a StubHub account, create one by clicking Sign Up at the bottom of the screen and create your account. Find your event on StubHub. Click Sell Tickets in the menu across the top on the right. You will immediately be taken to the StubHub search page. Enter as many details as you can about the event, including the event name, city, and date. StubHub will begin to offer suggestions from its database of matching events in the drop-down menu. Include specifics about your tickets. Enter the number of tickets you are selling, and StubHub will provide a checkbox menu for you to select specifics about your tickets, including whether you would like to sell your tickets together. What type of tickets are you selling? 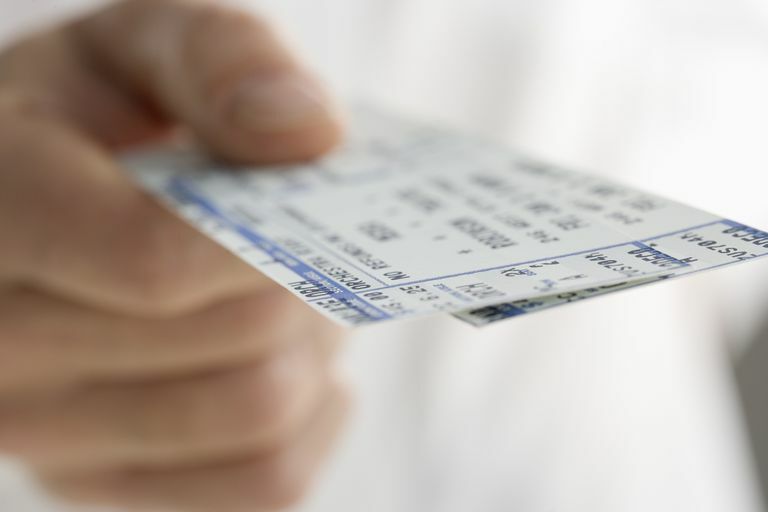 Depending upon your event, and how you purchased your tickets, the type of ticket you have will impact your transfer method to the new owner. StubHub will also ask you to fill in other information, including if you have the tickets currently in your possession, whether your tickets are online, mobile or PDF. You can also decide whether you want to transfer your tickets to StubHub now or later. Enter the location of your seats. StubHub has a database of most of the major event venues, containing seating arrangements, and if there are any obstructions to the view. Set your price. StubHub will give you a suggested price to sell your tickets, based upon what tickets typically usually sell for, and also based on the available inventory already for sale for your event. The price you set does not include StubHub fees. StubHub suggested price is not set in stone. As the event date nears, StubHub's suggested price will likely increase as tickets sell and become scarce. You are still free to change your listing price, so it's a good idea to keep checking so that you can adjust your sell price as needed. To change the price, go to My tickets > Listings to select the listing you wish to edit. Payment method. As part of StubHub's guarantee to buyers, you will be required to enter a valid credit card before you can list your tickets for sale. You'll also have the option here to enter your preferred method of payment. PayPal is an option, but you can also enter your own bank account information and StubHub will send direct payments to your bank. Finalize your listing. Before you hit confirm, StubHub will show you the details of your ticket listing, how much you're are charging, how much you will receive, minus StubHub fees. If you need to edit any portion of the listing, click the pencil icon beside any of these listings and edit them. StubHub fees are hidden behind the small i icon. Click this icon to expand the fee breakdown. StubHub will also show you when this listing will expire on the StubHub site. This date is also customizable. Click inside the date box to see a calendar pop-up to click on a different date as the new expiration date. If you would like to change anything in your listing before it's posted, click the back left arrow at the bottom of the page and make your changes. Your tickets are sold. Once your tickets sell, StubHub will send you a notification by email, along with any instructions on delivering your tickets to the buyer. Electronic tickets that you upload to StubHub at the time of listing are transferred immediately. Getting paid for sold tickets. StubHub will process your payment within 24 hours after the tickets are delivered. Direct deposit payments are issued within 5 days of delivery. For some high-profile events, StubHub will not process payments until after the event.